Experience the work of the Calcutta-born artist Rina Banerjee through a filter as colourful as her art: the words of the actress, comedian and writer Mindy Kaling. 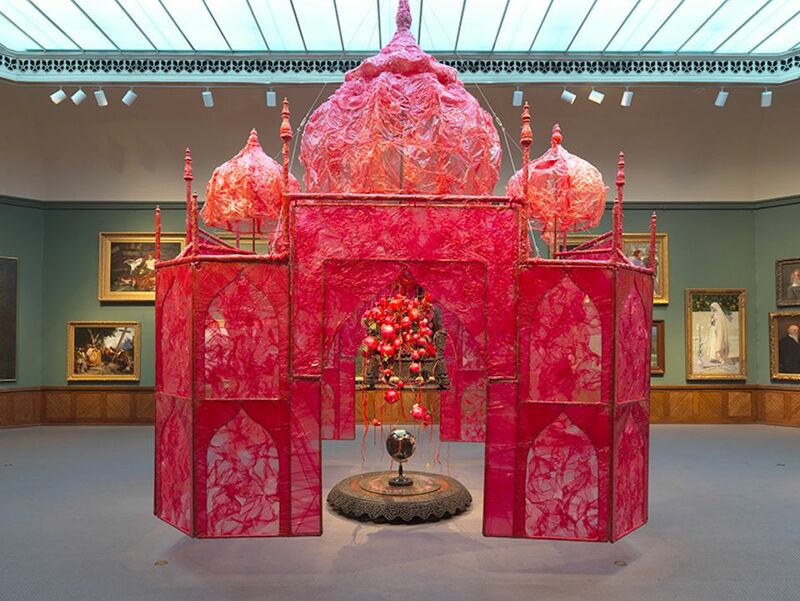 The Pennsylvania Academy of the Fine Arts (Pafa) in Philadelphia has mounted the largest ever retrospective of Banerjee’s work, Make Me a Summary of the World (until 31 March 2019), featuring the artist’s installations and sculptures, made with materials gathered around the world, and works on paper. Tomorrow (3 November) the museum is hosting a tea and book club-style discussion on Kaling’s most recent autobiographical volume, Why Not Me?, that also looks at works in Banerjee’s show to explore Indian American experiences. Kaling and Banerjee bring up similar themes in their work, such as “otherness”, identity and feminism. Banerjee, meanwhile, will present her work in her own words next Thursday (8 November) at the Courtauld Institute in London, where she is due to give a discussion with Pafa’s curator of contemporary art, Jodi Throckmorton.